​The island of Hvar in June | The island off the coast of Dalmatia transforms into a sea of lavender every year. From June, when it is in bloom, the landscape gleams with shades of lilac blue in many places. “We will definitely be back here!” declared one satisfied holidaymaker about this pool villa. Croatia is a heavenly travel destination with over 5,000 kilometres of coastline and numerous large and small islands. 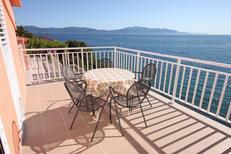 You’ll find the holiday homes in the Balkan state with the best reviews here. 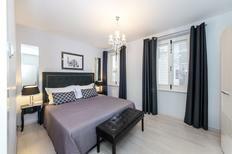 A holiday house in Croatia costs on average GBP 579 in the cheap travel period and GBP 985 in the peak season per week. These details are of course in relation to the house and not per person as well as includes the obligatory additional charges. Discover Croatia with its countless islands and isles, untouched nature, lively bathing resorts and picturesque fishing villages. The beauty of the Adriatic Coast is enticing strong growth figures for this booking season compared to other travel destinations. Croatia is the trend. The warm temperature of 27 degrees enables you to enjoy the Croatian beach life. Due to very moderate prices Croatia is particularly a sought travel destination for families who have a smaller budget. 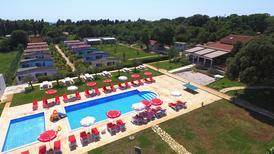 In the Mediterranean country Croatia atraveo offers a selection of more than 60,000 holiday apartments and houses. Popular with tourists is especially the Adriatic Coast which stretches from beautiful Istria to the Kvarner Gulf down to sunny Dalmatia. Typical for Croatia are the many authentic houses, like the refurbished nature stone buildings in the villages or away from all the hustle and bustle amidst pure natural surroundings. Equally impressive is the offer range in holiday hotspots: The offer ranges from simple holiday apartments close o the beach up to spacious villas with pool. 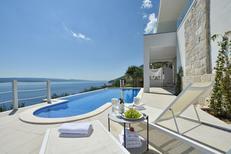 Croatia is associated with for great summer vacations at the seaside. Pack your beach stuff and off you go. From early summer until autumn mild temperatures, turquoise blue water and great beaches along the coast and the islands entice holidaymakers. Extremely beautiful is the area along the Makarska Riviera in Dalmatia or along the Kvarner Gulf. 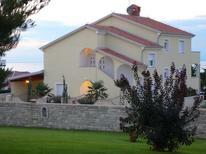 You can find an especially large selection of holiday homes around the towns of Crikvenica, Medulin, Porec and Pula. Also worth a visit are the many hundreds of islands in front of Croatia’s coast which exact number unknown to most. Brac, Hvar, Krk and Rab just to name a few islands offer stunning and beautiful beaches (sometimes pebble, sometimes sand) as well as great unique charm. 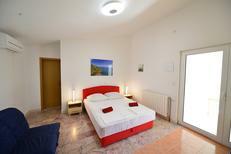 One advantage of making a holiday in Croatia is the good price level in comparison to other European countries. 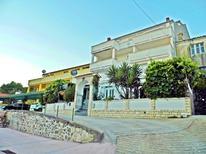 Therefore the one or other attractive furnished holiday house near the beach might well be on offer for a bargain price. Also aside from the beaches Croatia offers many great travel destinations and possibilities for one or another day trips. Worthwhile is the far less touristic heartland with the capital Zagreb. An absolute treasure is the national park Plitvice Lakes which lies in the heartland of the Kvarner Gulf and offers a breathtaking scenery. A must see are definitely the many cities whose sights have in many cases been added to the UNESCO World Cultural Heritage Sites, for example Split, Zadar, Dubrovnik, Trogir and Porec. 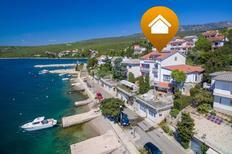 There are several ways to reach your dream holiday home in Croatia. Travelling with your own car is a good option. The coastal villages are moderately well connected with the Croatian road network and the islands can be reached by ferry service that is reasonable priced for car transport. When travelling by car you benefit from more flexibility and can undertake trips and excursions to see more of the country. An alternative to travelling by car, especially for those who shy at the thought of hours of driving is travelling by plane. There are international airports with regular bus services in Split, Dubrovnik and Zadar. Situated in the heartland of the country the airport of the capital Zagreb is also a possible alternative. 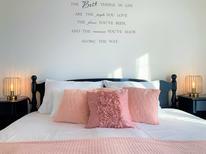 However do ensure when planning your holiday to check the options (e.g. bus) bringing you from the airport to your travel destination. A tip for those travelling by plane: Hired cars in Croatia can be rented for a small price. Croatia offers mild temperatures for beach vacations from spring to autumn. Along the Adriatic Coast the climate is Mediterranean with hot, dry summers and relatively warm (around 10°) but wet winters. When travelling in July and August temperatures can rise up to over 30 degrees. 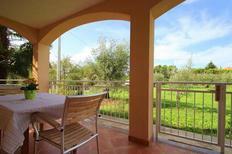 During that time we recommend a holiday house with air conditioning or at least one situated close to the beach. In the heartland the weather is more continental with warm but not so hot summers and considerably colder winters.